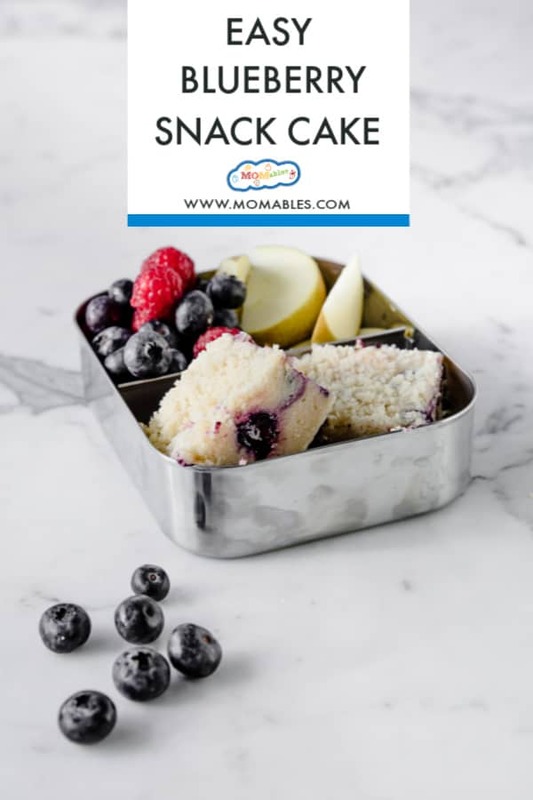 Tender, moist, and jam-packed with blueberries, this easy blueberry cake recipe will make you a legend at snack times, bake sales, and coffee dates. Inspired by the infamous coffee cake at a coffee shop chain, I set out to make my own version for two reasons: I hate paying $4 for one slice and I wanted to make it a lower fat option for breakfast or snack time. Plus making this recipe is super easy; watch this video to learn how. ﻿ I published this recipe 7 years ago on my personal blog and it continues to be a winner with my readers and my kids! When it comes to baking anything I look for the most simple recipes that don’t involve dirtying every measuring cup and mixing bowl I own. Speaking of simple recipes, have you checked out this week’s Classic Meal Plan Menu? 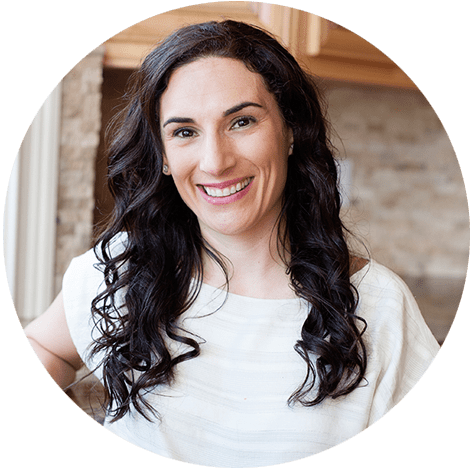 Our members love that it simplifies the whole meal planning and meal prep by using a simple, 5-day menu and complete shopping list. So make sure to grab a sample here. But let’s get back to what you’re really here for the cake! 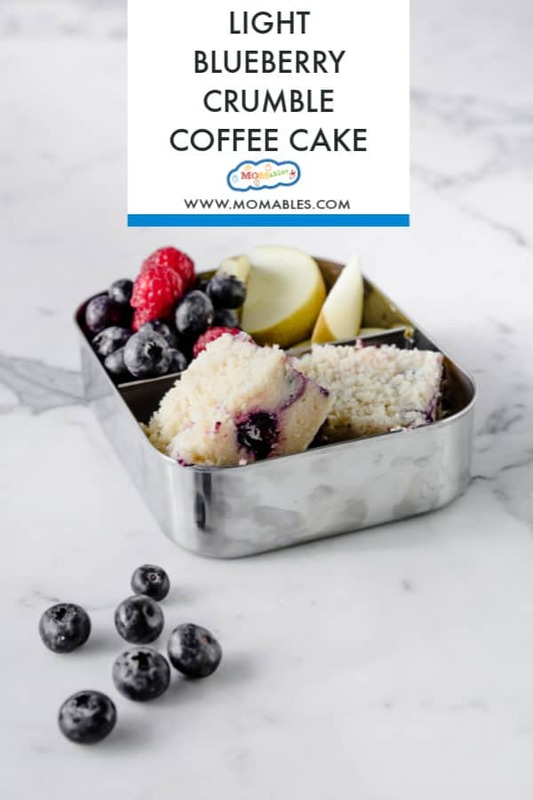 This Blueberry Coffee Cake recipe meets my baking criteria and yields the most beautiful, tall and crumbly coffee cake I’ve ever tried. I love it so much I often pack it in a snack box and enjoy it in the afternoon with a cup of coffee. The kids, of course, think it’s their lucky day! This recipe replaces half the butter whole milk Greek yogurt. Not only does this cut down on the fat but it’s what makes the cake moist and fluffy. If you don’t happen to have any on hand, swap it with full-fat sour cream. This method can also be used in nearly every cake recipe for a soft and perfectly moist treat. Both! 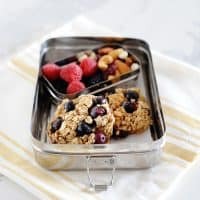 Depending on what time of year you are making this, if berries are in season, either fresh or frozen berries will work. However, the frozen option is always inexpensive and just as tasty. Be sure to let the berries defrost before adding them to the cake batter. As mentioned above this recipe yields a lot of cake so it’s perfect for bake sales and large social gatherings. But if you aren’t making this for either of those reasons and only want a slice of crumbly, moist cake with streusel topping, leftovers can be frozen. IF there are any. Or any cake for that matter. First, slice the cake into individual portions. Wrap each slice with plastic wrap. Place the wrapped slices into a freezer bag and store for up to 3 months for best quality. Alright, I won’t hold you back any longer! It’s time to bake! Bonus points for everyone who had their oven on preheat! Preheat oven to 350°F and place baking rack in the middle of the oven. Grease a 9×13-inch baking pan. In the bowl of your stand mixer or a large bowl, combine 4 cups all-purpose flour, 1 1/4 cups sugar, baking powder, and salt. Give it a quick mix. To the dry mix add milk, Greek yogurt, 1/2 cup of softened butter, lemon zest, eggs, and vanilla. Mix on low speed until combined and there are no visible clumps. The batter will be thick. Gently fold in blueberries with a spatula. Pour mixture into greased baking pan. In a small bowl, mix together the remaining 1/3 cup of flour and 1/2 cup of sugar. Cube cold butter and place inside the flour mixture. Create a fine crumble as you mix it with a fork or with your hands. Distribute crumble mixture over the batter. Bake for 50-65 minutes or until a toothpick inserted comes out clean. 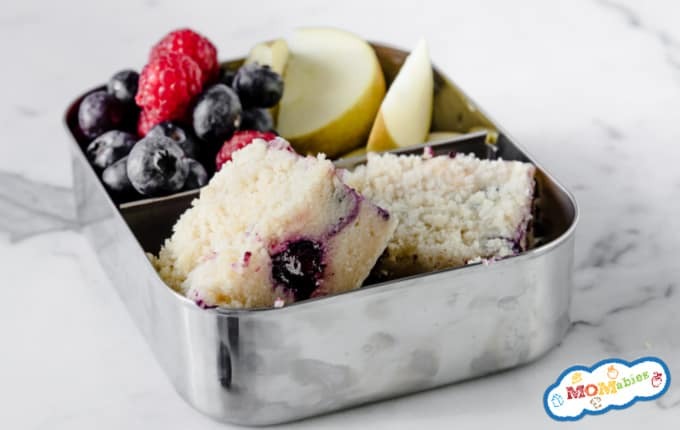 Remove from oven and allow the cake to cool down to room temperature prior to serving.